Yes I am referring to these people as Hags since they love going on to public forums and scrutinizing an innocent owner. The fact that Dave Smith said his last goodbyes to Diesel on Thursday I believe, led to a news report about it on the Globalnews.ca Site. Where if you can guess, the HAGS from the Chum and Champ Case have appeared to smear and belittle Dave Smith calling him an irresponsible owner, among other insults flinging, attacking the Real Animal Activists and Advocates. There is a reason I banned Shirin from my Page on FaceBook a year ago, because of her absolute corrupted way of thinking, along with the fact that she listens to every word stated by JT, we all know who JT is and she is Jo Thomas, not Julia Trops. JT must be kicking herself now, as to the fact that Chum and Champ is SAFE. For Shirin and Drealens to continuously bring up Chum and Champ while commenting on the Diesel news forum, is highly disrespectful and asinine. That fence that you say was built after the dogs were taken away is FALSE, that fence was being built when they had the dogs and even after the dogs were taken away, there is also the fact that JT cut part of her neighbors fence which lead to the Jack Russell going onto Jacques’ Property. Also I would like to point out Shirin, I did look at the court documents and Medical examination records, of the Chum and Champ Case, JT’s Vet didn’t testify because it would have incriminated JT. Because of the fact that the wounds were from the MESH WIRE FENCING, call the vet yourself, they’ll gladly tell you what they have told me. And as for those pictures in that Group that was created to spit vile at the C&C dogs, those pictures are proof of the mesh wire fence wounds, and yes, I even went to my local vets showing him the pictures and he even confirmed it.. Since he has seen a lot of those cases down here in TEXAS since practically every farmer uses those MESH type fences. So please come up with something else other than blah blah blah C&C are “bad” dog’s argument or that Jacques is a “bad” owner, which in both cases they are not BAD anything. In any case, I see that the chum & champ truth revealed group has been disbanded, what happen there? The fact that Dave fought for 2 years for his dog apparently means nothing to these cackling mudslinging HAGS. Truthfully the BC area is all kinds of messed up in their justice system, they take things on HEAR-SAY without any legitimate proof. Point of Fact, yes I am going to refer to the C&C case because it is relevant. The C&C case was built on hear-say on top of the fact that JT had friends in the higher ups, so she pretty much got away with a lot of BS. The fact that she made false reports among other things, would have been costly to her if she was living here in TX, since down here that is considered Perjury. Diesel in my eyes is innocent since I have been following this case for a while, and noticed the Inconsistencies that the RDCO had. Not investigating any of the complaints against Dave, and certainly not answering any of Dave’s Questions at the times of the complaints made. And Bev, sorry to say but I don't trust someone in the Rescue position who can't use their REAL NAME. I adopted Diesel in the summer of 2006. As I was told his history – he was a university dog who might have been locked in a room for periods of time. He was then given to one of the students parents who also had two ADHD foster kids. Diesel is 96 lbs and he is both bouncy and excitable. The people felt Diesel would be better in a different home and I accepted. I will say that when I first got him he would always make a beeline for any open door to the outside—which I eventually cured him of. He came to live with my cat and I and they got along well-sometimes even cuddling. In November 2006 to April 2007 there were three incidents with the same 12 year old daughter of one of my neighbors where she was scared of him. He never bit her –just drooled on her coat. Complaints were filed and I received a ticket for aggressiveness. I did contest the ticket but tossed the paperwork out and so when RDCO lost it Diesel was deemed aggressive June 22 2008. June 09 2008 I stopped a neighbor who was building illegally. January 2009—I withdrew my offer to pay when I was made aware that there were allegations being made about both Diesel and myself that were false. It was said that Diesel attacked unprovoked and I was accused of physical intimidation, stalking, harassment, and making threats. February 2009. The same owner now makes allegation of second attack—again the RDCO never investigated. April 22, 2009—Incident—RDCO issues two tickets and both tickets were disputed in Court and were dismissed. 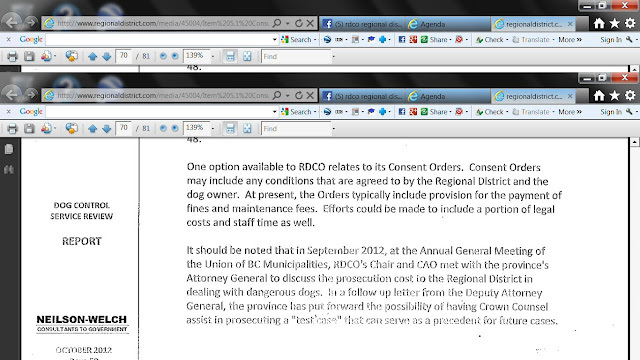 July 13, 2009 Complaint made re barking—not Diesel-- but RDCO issues verbal warning. Dec. 09.2009 Ticket dispute—RDCO fails to appear—ticket dismissed. August 03, 2010 Diesel (and Monty) chase cat on road allowance for 10 feet. A Verbal warning issued by RDCO. RDCO with lawsuit if nothing is done. RDCO takes me to court. November 25, 2010 Justice BURGESS delivers a finding of NOT GUILTY. August 25, 2010—I was verbally abused by owner of cat from above. October 20, 2010 Complaint made and again the RDCO did not investigate. January 13, 2011 I was profaned by a neighbor who was shovelling snow onto a public walkway, thereby endangering many lives and limbs of kids and adults up to 84 years of age that regularly used the walkway. After being profaned by the shoveller when I went to talk to him, I phoned the local by-law officer and neighbor was visited. By-Law officer noted in follow up that the snow was not removed as it should have been but it did eventually melt. Shortly after this I had excrement smeared on my house entranceway. March 11, 2011—Diesel seized by RDCO. Other things that I think should be known. 1. The uninvestigated complaints only became known to me when I received disclosure from RDCO –after Diesel had been seized and we were going to court. 2. It was stipulated in Court that there were never any other incidents involving Diesel no matter where he was –except for the two block area where all the complaints were centered. 3. Diesel has been in the company of up to twenty dogs and equivalent adults and children on many occasions. There were never any problems. Play time was had by all. 4. June 2011—Dana Eklund assessed Diesel and her recommendation was that he never be release because he would bite someone or some dog. 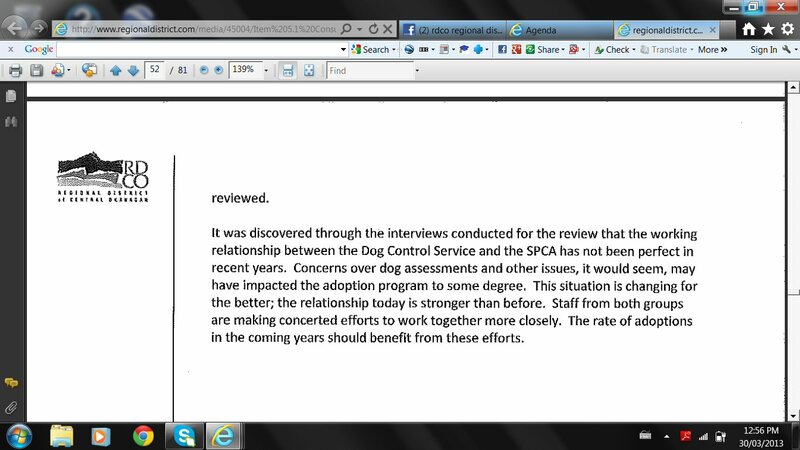 It is interesting that in the assessment documentation provided by Ms. Eklund she was given a twenty minute briefing on Diesel by animal control on the instructions of their legal council. 5. In Court—her testimony was totally belied by Gary Gibson’s assessment with, video which showed that many descriptions of Diesel’s behavior made by Dana Eklund were exactly the opposite in the video. 6. A witness who was phoned by RDCO after being given her name by the active woman, filed a complaint that Diesel had bitten her. When court time came, she first tried to avoid coming, and after the Judge demanded her presence, she was not able to confirm the supposed incident and the RDCO, through their lawyer, immediately withdrew from this unproven, uninvestigated allegation. 7. March 11, 2011—I filed job complaints with respect to the failure to investigate by RDCO, and a harassment complaint with respect to an employee threatening to terminate my visits with Diesel because of the way I fed him biscuits. 8. March 13, 2011. I received a response that nothing was going to be done about my complaint. 9. March 23, 2011. I replied with comments regarding the refusal to act re #8. 10. March 30, 2011. I received an offer to release Diesel with a full conviction, and several other conditions. 11. March 31, 2011. I made a counteroffer to #10. I have not received a response to this day. 12. One of the complaints was when both dogs, (Monty has since died due to cancer), ran out from the yard onto the road and Diesel barked at two dogs being walked. The owner filed a complaint but stated that the concern was just to ensure the dogs did not run out. There was no desire to seize the dogs in her statement. 13. I have been accused of being difficult and I agree at times I certainly can be, but I have worked for 26 years as both a paramedic and a financial advisor. I also have spent countless hours volunteering my time and knowledge to different local and Provincial organizations, and still do to this day in retirement. 14. The Provincially recognized expert dog assessor, Gary Gibson, showed both in written submissions and video records that Diesel was not a dangerous or aggressive dog, but would respond if attacked. 15. The RDCO has opposed every attempt to a) get bail for Diesel, b) increase visitation hours—only one-half hour per week is allowed, and has in general has not been cooperative in many ways. Perhaps I have responded in kind so I guess in their eyes I am difficult to deal with. 16. 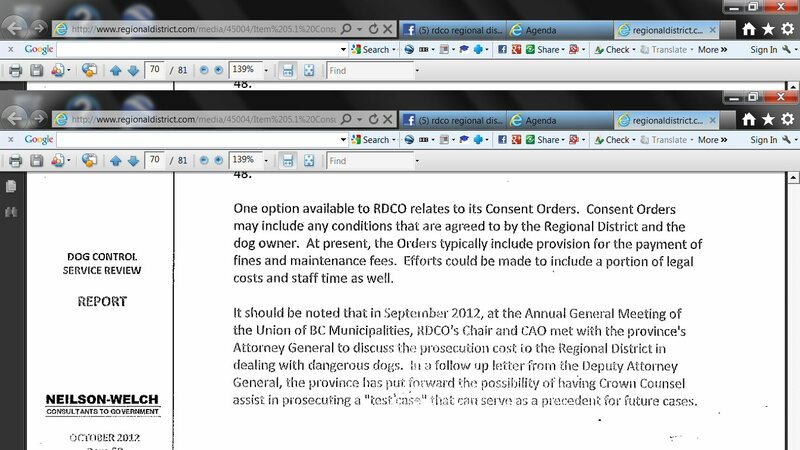 Under FOI requests it was found out that RDCO animal control has no written policy and procedures, and the training is verbal only. It was also established that they are only concerned with enforcement. 17. Diesel has never bitten anyone, and only one dog was injured by Diesel, after Diesel was attacked by the dog, and yet Diesel has spent almost 17 months in a cage. The other dog is still free and as far as I know, fully recovered for some time. 18. I will say again—if I had any concerns that Diesel would injure a human or a dog without cause I would put him down myself. I have lived in Peachland since 1978 and have owned several Shepard crosses without having had anything like this happen. I am still astounded at the progression of events and again would like to thank all those who have taken the time and energy to become involved. I think I am done. If I can answer any other questions or clarify any thing I have said then please do not hesitate to ask. Diesel has been described as a bit of a brat personality wise, but loves people, kids animals, and basically just wants to play and visit. If I am the reason people have gone after Diesel then I have a huge debt to pay him. I hope I have the chance to do that. change and also that what has happened to Diesel and also Shadow, will never happen again without then proper procedures and investigations being followed and done. 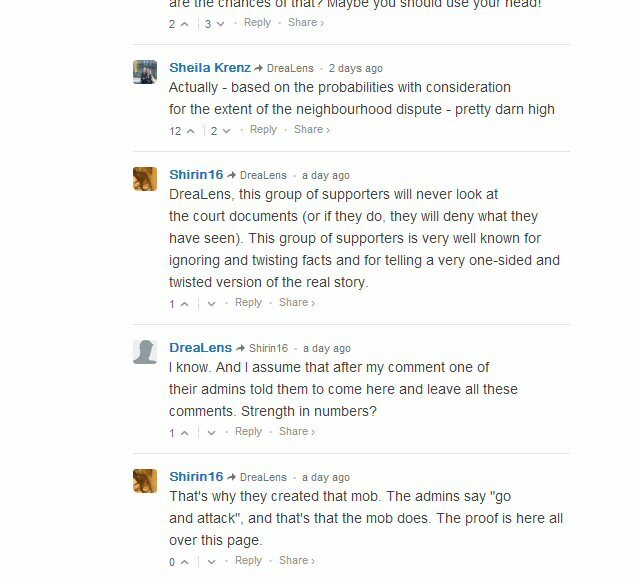 As for the Comments on the GlobalNews.ca here is a brief Snapshot of some of the comments from the Hags. If you want to see more go to the GlobalNews site. Funny I don't remember the ADMINS telling anyone to attack anyone. That is not why our group was created Shirin/Drea. Our group was created to support Diesel and Dave. 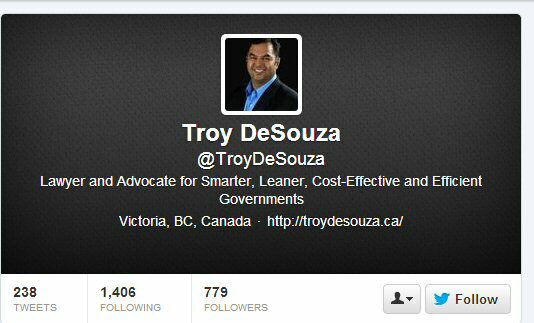 On the other hand I do remember YOUR group telling YOU to go onto the Comox Regional District page to attack US. So, who is the one being the pathological lying little HAG? Yes Bev M runs the Facebook Page Diesel VS RDCO, yes she has blocked and deleted every comment that was confronting her and or mentioning Dave. Known fact she hates Dave and Dave pretty much feels the same, Bev was not giving permission to use Dave's side of the story nor was she giving permission to use Diesels Pictures, So, point being that page is not an OFFICIAL anything. Is Drealens Bev, maybe, I am not going to confirm or deny the possibilities, and I refuse to get in the middle of these affairs. Refuse to be the fall guy. 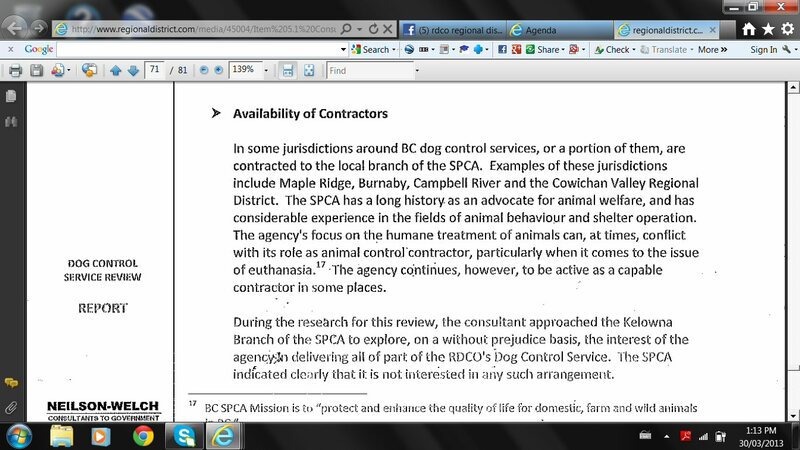 There is more, the RDCO only deals with one shelter and that is the SPCA, so RDCO you busted yourselves by making those documents public. Just saying, maybe you should be more cautious as to what you state. Screen Shots Below provided by a Friend. You mean Selecting Staff that is BIASED and HATES animals, yes. Yet there is prejudice, since you have been condemning innocent dogs on Hear Say, specifically dogs that are classed as Molossers.. Exactly How many dogs have been adopted out? And if you don't want to Euthanize dogs, then why have you been condemning these dogs to DEATH? 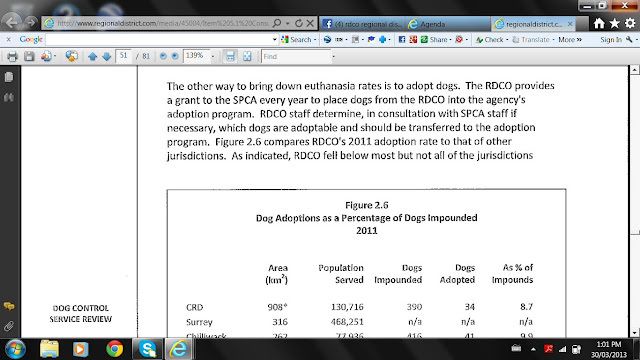 You're right about that, in fact I doubt there was any real relationship between the RDCO and the SPCA. And Here we have the infamous TDS, who works for the RDCO and Regional District. Smarter, Leaner, Cost Effective and Efficient Governments, I have to laugh, Since when was the Government ever smart, especially when they take HEAR SAY'S to court. I have yet to see any lean type Government officials on the board, just saying all that money they are getting as pay off's has to go somewhere (gluttons), Cost Effective = Taxes being Raised and putting innocent dogs to death, Efficient, would mean that the Government actually took the time to listen to their people, WHICH YOU HAVE NOT DONE THUS FAR. Your whole statement is an OXY-MORON, Just stating the obvious. I have been involved with this case and can honestly say that I am really disappointed in the RDCO and all officials involved in this case. Dave fought all tickets in court and has bent over backwards and jumped hoops to bring his companion home. This is a 9 year old senior who spent far to long incarcerated. I mean seriously, judge the lifespan of this animal...and how long has he had to stay in a locked cell????? This baby has had no life for two years thanks to all the vindictiveness of people who has only wanted to cause harm to Dave. I am seriously ashamed of how this has been handled and truly ill at the thought of how you handle cases. I am heartbroken at Dave's loss and at the loss Diesel has to face. For people to come here and badmouth Dave is completely uncalled for by all means. To "some" Diesel is just a dog....to MANY of us, he is a loving companion who has been ripped away from Dave. This was completely unjustified. And I think people should have a little more compassion rather than constantly hounding this man, an animal who should have been released to his custody and the people who have and will always stand by their side through all the heartbreak. So for all of you who want to be negative....find your damn heart for once and offer some compassion instead. In fact I couldn't agree more with this statement. It is Advocates/Activist like this awesome, smart, woman that get things done and I for one look up to her for all that she has and is doing for the animals/dogs in this world, and I for one will always have her back when ever she needs help with anything. The fact that people can sully up a comment section with their Vile talk of ill manner hatred toward a person they truly do not know says a lot about our nation today. It says that we are SCREWED! Many Times I have asked a simple question. WHEN WILL THE HATRED END? So far, I can't see it ending any time soon since there is so many people out there with narrow minded thinking. Truthfully, and you can call me a geek if you want to, but I seriously think Gene Roddenberry had it right. Another Hero Of Mine, Gene was a True Visionary and Pioneer for his day. Now that this is all out there, I don't think I have anything Else to say, other than. The HAGS need some lessons in etiquette, along with thinking for themselves for a change and not repeating what their LEADER tells them to state.